A quiet little post for you today. You may have noticed the gift ornament in this earlier post. Here’s how I made it. You will need some lace, a heart shaped cookie cutter, Mod Podge, a paint brush, a needle and thread, and a pair of scissors. Use a paint brush to spread a good layer of Mod Podge on the outer side of your cookie cutter. Cover the mod-podged cookie cutter with lace as follows. Leaving a bit of extra lace at the beginning and starting at the heart’s bottom point, take your lace all the way around the cookie cutter to meet the other lace end. Slather on a few more coats of Mod Podge. I did 4 coats and left each to dry in between. Once completely dry, I carefully removed the lace by slipping a butter knife (see previous post and add this to that list, tee hee…) underneath it and working it off the cookie cutter. I did have to re-shape the heart a little, pinching the top inner point and rounding the curvy parts between my fingers, but that was easy. Then I added string to make an ornament, or strung it with several others to make a little garland, using a needle and thread. And that, as they say, was that! 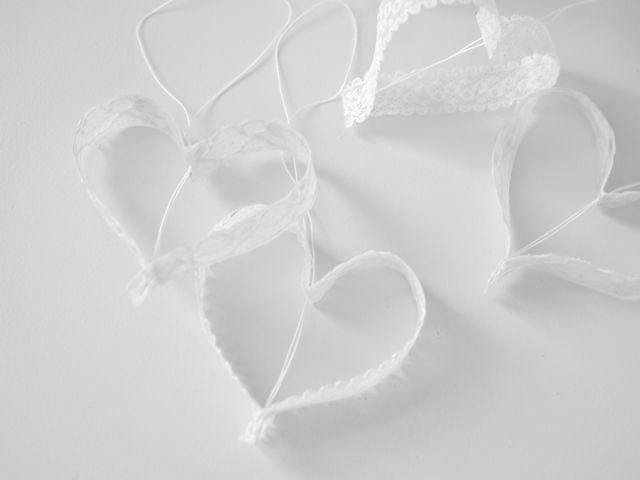 Note: I think fabric stiffener would be a good alternative to Mod Podge to stiffen the lace and make these hearts. I didn’t have fabric stiffener, so I used what I had on hand. 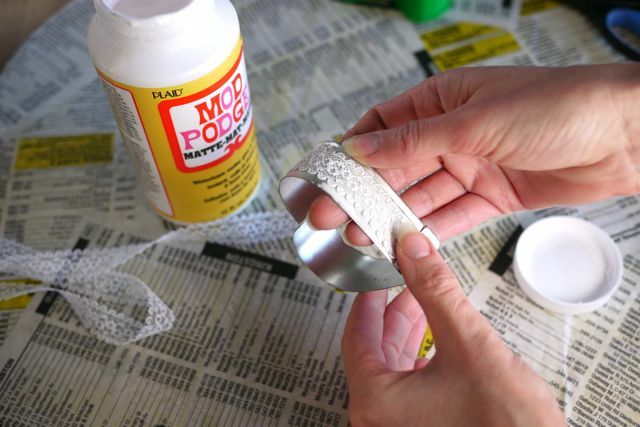 If you do try it with fabric stiffener, let me know how it goes! 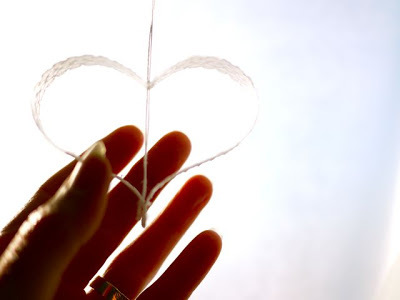 Have yourself a heart-shaped Monday, and I will see you again soon! I like them, Michelle! Good job. Oh how pretty your hearts are Michele! Thanks for sharing your wonderful tutorial – I think I'll be trying this technique out too. É um imenso prazer te conhecer. Li sobre você no site da Ester, que acabei publicando um passo a passo dela hoje em meu site que achei muito interessante.Também uso este tipo de material pra tabalhar, acho que quem sabe possa achar alguma coisa interessante em meu site. Transformei isto em profissão e gosto de compartilhar com todos. Thanks Michele, love those beautiful fragile hearts! What a fantastic idea. I love the lace hearts, and the cookie cutter was so clever. These are gorgeous! And yes, fabric stiffener will work great. Oh my!!! this is stunning, it looks like you used just regular old modge podge, right? not the fabric one? I have been unable to find fabric modge podge or "fabric stiffner" in the downtown core (I don't drive and there is no Michaels nearby!). I definitely plan to try this! cookie cutters, lace, butter knifes – who could need anything more. Very delicate and airy. Pretty. gorgeous Michelle! Did you know that you can use a crystallized sugar solution as fabric stiffener? haven't tried it myself, but it's in one of my crochet books as a stiffener for making a bowl from a doily! Thanks so much for sharing on Craft Schooling Sunday. gorgeous gorgeous as always! 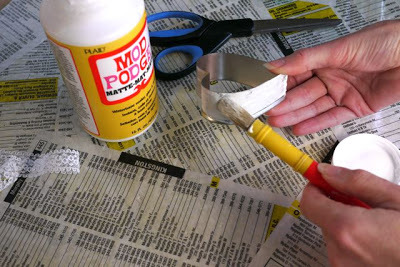 And smart thinking about the mod podge as a fabric stiffener–who knew?! Beautiful! I love how delicate & airy they look. Great technique too! What a fantastic idea! 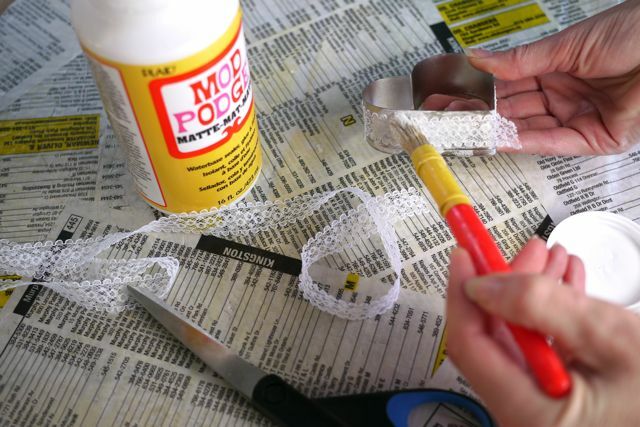 Goodness, I love how you can use Mod Podge for just about anything! such a great idea!!!! i am definitely giving this a go, fantastic result! 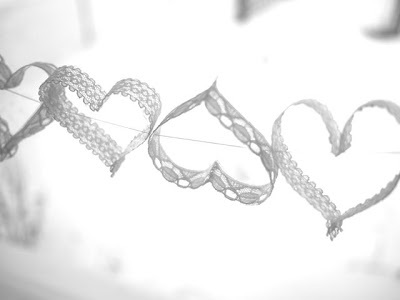 I really need to get me some of that Modge Podge, those hearts are adorable, they are perfect for Valentines! This is so lovely, Michele. Really pretty. Oops, I am so late to the valentine lace party! These are gorgeous, period. I love the technique you came up with here – so smart and outside the box! I mean cookie cutter. Love! oh these are wonderful! i'm going to totally include them on my v-day post! thanks!! These are lovely! I may just take up the idea for valentines day! What a great idea! I love lace and this is so simple! That's a great combination of two of my fave things: lace and hearts. I have to try this. Thanks for sharing. Cute and too delicate. Love it. Simply dreamy! The lace looks so light and airy. You have SO much gorgeous inspiration in these blog pages. I've added you to my reader so I can drool over your work on a regular basis. :o) Thanks! I love these! Who would have thought of such a lovely idea….I wish I saw this months ago pre-wedding! These are BEAUTIFUL! What a simple a lovely addition to any decor. I am featuring these in a lace roundup on my blog tomorrow! I tried it too,there's a good pic on my blog post. 😉 Thanks a lot for the amazing idea. I ♥ it. So many great applications for this technique! Thanks so much for posting it! How did I miss these? Love the simple lines. I think these are delightful! Pinning this idea! These are so pretty, found you via pinterest! Thanks for the idea! I will use this as extra decoration at my wedding.. possible over the food and drinks. Also, I have a bell shaped cutter that I will try! I will let you know how they come out!